GSCCC is happy to share an amazing scholarship opportunity for Girl Scout Ambassadors. Please review the requirements by clicking the link after the summary. The application deadline is January 31, 2018! Good Luck! KPMG is deeply committed to the advancement, development and empowerment of women. In 2016, KPMG launched the KPMG Future Leaders Program in partnership with Dr. Condoleezza Rice, focused on developing future generations of women leaders. 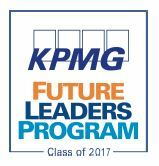 Receive a KPMG Future Leaders Scholarship of $10,000 per year for four years of college. Attend a three-day KPMG Future Leaders Retreat the summer before their freshman year of college, at Stanford University in Stanford, CA (July 15-17, 2018). Attendance is mandatory. Find out more and submit an application. Cadettes Earn Babysitting Badges in Aptos!